A hard drive is one of many internal computer components. This heavy piece of hardware is responsible for storing important software and data files, as well as your whole operating system (Windows 7 or Linux). Housed inside the computer case making it well protected from the outside, however internet threats, virus or spyware will still put your hard drive at risk. Losing important information, documents or files can be frustrating, this is where an external hard drive may come in handy. 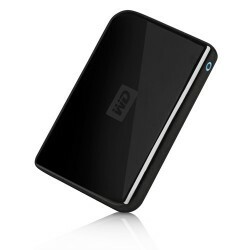 An external hard drive (hdd) is a hard drive situated outside the computer case in its own housing or enclosure. A bit bigger than a hard drive; the external hdd uses high-speed interfaces such as USB, firewire or eSATA instead of the older IDE connections. Some external hard drives have one or more cooling fans to keep the hard drive cool and prevent overheating. The two most recognizable and popular brands in the (external) hard drive market are Seagate and Western Digital, in constant competition and always reinventing their products to set higher standards. The practical applications of an external hard drive seems limitless; there are a few key advantages to point out before purchasing an additional storage device for your computer. The primary use of an external hard drive is to store large volumes of data safely away from the main internal hard drive. The external hard drive can be used to backup important data, personal photo's or video's and sensitive information, especially if your computer is used by more than one person. An external hdd has Plug n Play functionality, so no software installations needed. Today's media file formats allows us to get the highest quality out of our photos and videos. High definition digital cameras and camcorders captures moments and outputs files that looks better with higher resolutions but also fills more space on your hard drive than standard devices. The most common size in today's hard drive market is a 500GB external hard drive but of course a higher capacity can be purchased to satisfy the demand for additional space. Two form factors are available when deciding on a new external hard drive; desktop 3.5" and the smaller 2.5" typically using by laptop users. Both sizes can be used by either computer system but these two sizes have a small price difference for same capacities. The 2.5-inch is the more popular choice as it is lighter and uses your computer to power it up. The 3.5-inch" is larger and a bit heaver using a external AC adapter as a power source, both form factors are excellent storage devices and the portability factor allows you to take your work or personal files wherever you go. OneShop features the most popular and reliable storage devices and gives you the lowest external hard drive prices from trusted online retailers. Each time you visit the external hard drive category, you'll get up-to-date user reviews, the latest external hdd ratings and useful information to make an informed decision when buying a new external hard drive.